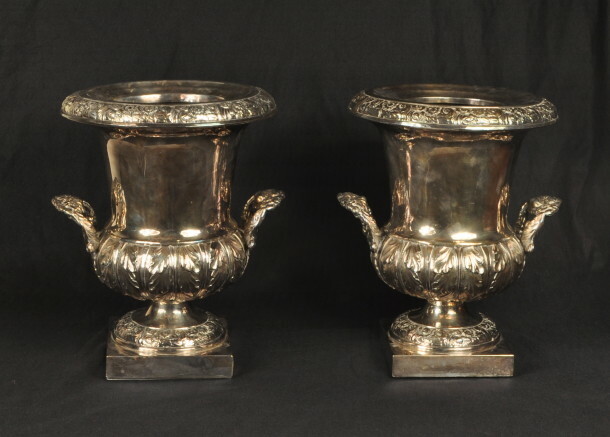 Fine pair of two part foliate sheffield silver wine coolers, having leaf impressed round ice covers, urn form body with foliate handles and leaf impressed plinth and square bases. No visible marks. Probably American, 19th century. 12" high, 11" maximum width, base 5 1/2" square.